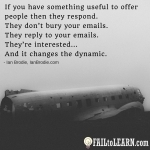 In this episode I speak with Ian Brodie about his failures as a salesperson. He started off as a business consultant and was great at helping his clients with their strategies and making changes. But to progress in his company he had to sell. And that’s where the problems started. He didn’t like being a salesperson and everything with his clients changed. He was almost fired. Fortunately, he stumbled upon a way to get in front of prospects that repeatedly worked. And that’s what we talk about. Ian’s successful background in consulting. Why he couldn’t “be” a salesperson. What happened when his clients stopped taking his calls. Why he feared what people thought about him and how it stopped him from making calls. How people think about salespeople, how he thinks about salespeople, and how that label made him feel less credible. Why Ian didn’t want to be seen as someone out to just take people’s money (because he wasn’t). How his fears almost got him fired. How he used research material from his company to start making sales. How he was able to provide value before asking for a sale, and started getting phone calls returned, and how you can do this too. Why he wasn’t able to be like the other sales people. How he used case studies to open doors to appointments and close more sales. How Ian discovered what areas he was good at, how he learned to focus on those, and how he refined it to work best. How you can structure your client meetings to go from providing value to transitioning into the sale. What Ian did to get clients to relax for his sales calls. 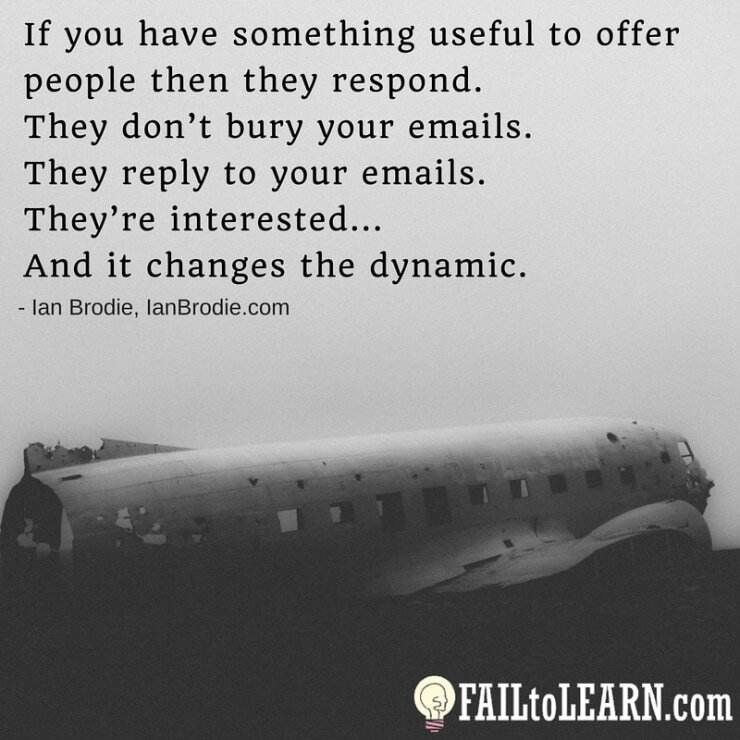 How the same principles Ian used in face-to-face sales can be applied in online sales… but you don’t have to talk with people one-on-one (if you don’t want). Why Ian asks, “How do you scale without building a large team?” And how he’s working on that for himself, and you. Why he wished he started his own business earlier. Why he couldn’t start his own business until he knew others who did. Download Ian’s tips in the 1-Page Quick Action Sheet for this episode here. Facebook group: Solo Tribe for solo business owners.